Academy Award®- winner for “Best Animated Feature” (2006), Wallace and his faithful dog Gromit become unlikely heroes in stopping a crime spree...and saving the town's carrots. 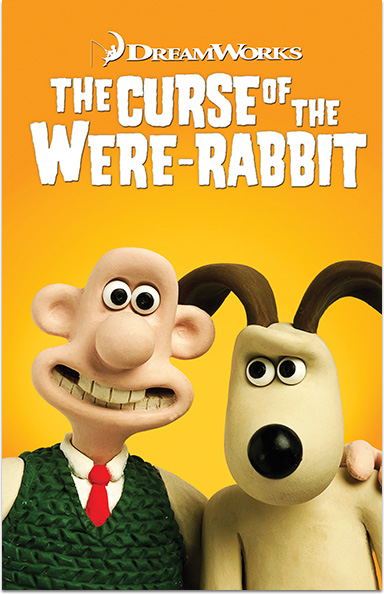 WALLACE & GROMIT IN THE CURSE OF THE WERE-RABBIT © 2005 DreamWorks Animation LLC. All rights reserved. Academy Awards® is a registered trademark of the Academy of Motion Picture Arts and Sciences.